I've shared a couple of scarf tutorials on the blog already - you can catch one here along with a follow up video here. 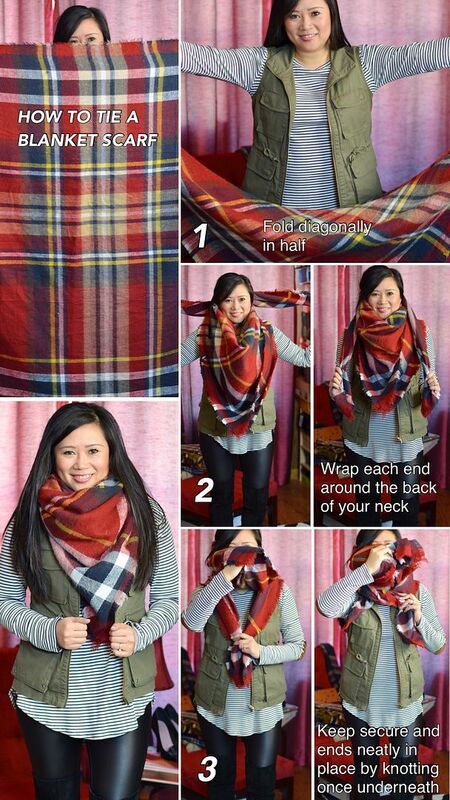 However, that method is strictly for rectangular scarves. 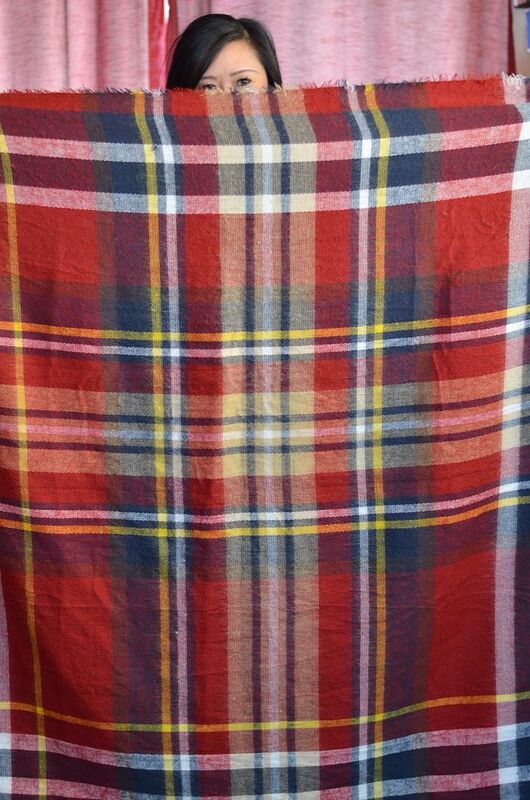 Despite how prevalent blanket scarves are, I consistently get asked how I tie mine. Tying square scarves is even easier than tying the rectangular ones. And since the tutorials I've previously shared are specific to rectangular ones, I thought I'd go ahead and do a square tutorial of my own. 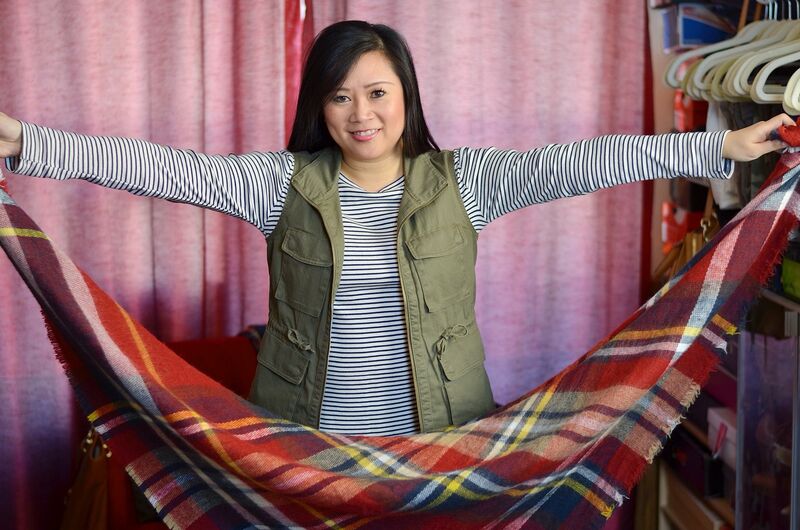 There is one step I do that keeps my scarves neat and in place that other tutorials seem leave out, so hopefully you're able to learn something new with this post. Step 2: Let the point of the scarf hang in front of you like a bib, and wrap the two ends around the back of your neck. Step 3: Instead of simply tucking the loose ends under the scarf, tie the ends in a single knot underneath. It keeps the ends from flying around and falling off your shoulders. Plus, it just looks neater. I've seen a lot of tutorials, and they usually stop after step 2, but I found that the single knot is a lot more successful - especially when it's windy and your scarf is being blown around. I went ahead and put together a collage of the photos above for your pinning convenience! Short and sweet today! 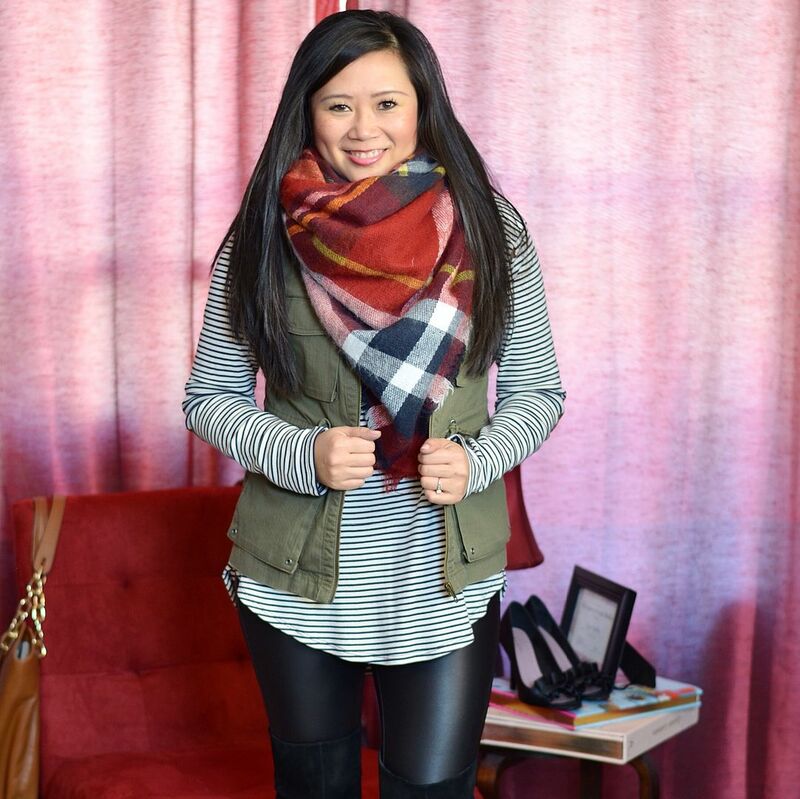 I'll be back tomorrow with another outfit post as usual! YES! 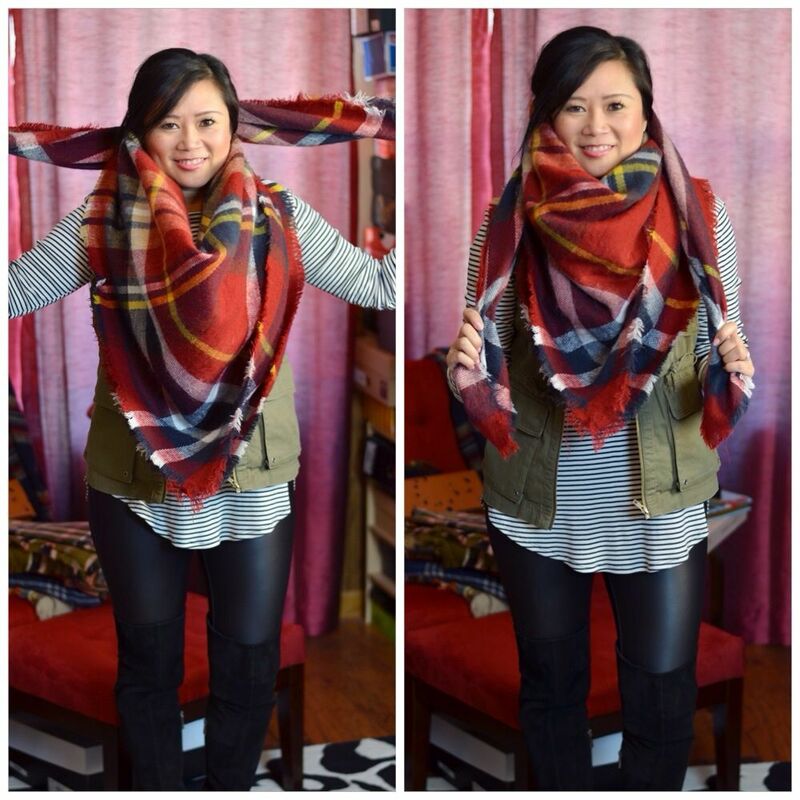 You always have the perfect blanket scarf and I've always wondered how you do it! Thanks for the tip! 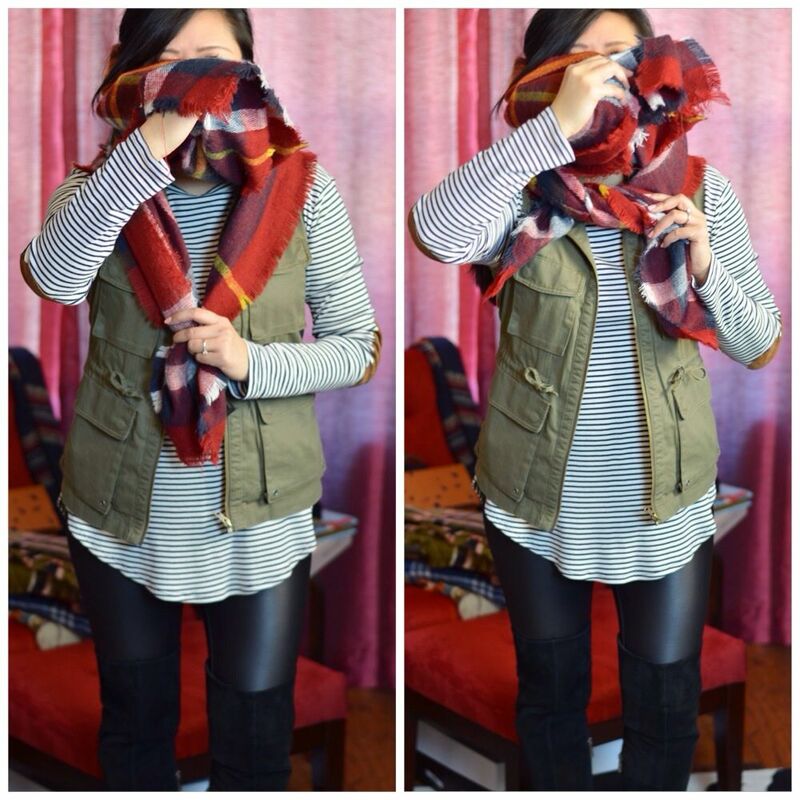 Love your scarf and your tip for how to fold it because a tutorial on scarves is what I need! Thanks for sharing this - I am working on a little project - and I am going to include a link to this tutorial. It is perfect - thank you!